This article is about the action. For the Duel result, see DRAW. Drawing a card (Japanese: ドロー Dorō) is a method of adding the top card of the player's Main Deck to their hand. For the turn player's normal draw during their Draw Phase. This does not occur on the first turn of the Duel. Due to a card effect that specifically uses this term. It is possible to draw multiple cards at once. 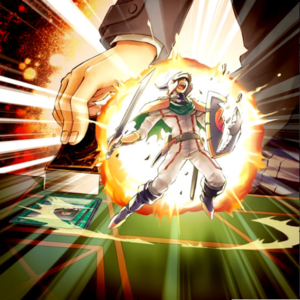 For example, "Pot of Greed" and "Guarded Treasure" allow the player to draw 2 cards at once, but each of these effects is only a single draw (for the purposes of cards such as "Solemn Wishes"). Only cards that specifically say that a card is drawn do so. Cards such as "Conscription" and "Reinforcement of the Army" can adds cards from a player's Main Deck to their hand to the Graveyard, but they do not draw cards. If a player is unable to draw because they do not have enough cards left in their Deck, that player loses the Duel (known as Decking Out). For lists of cards that let players draw, see You draw cards. This page was last edited on 6 September 2018, at 14:14.